Ganhe dinheiro com a valorização do Bitcoin e outras criptomoedas! Negocie opções com o mais avançado instrumento financeiro. O preço do Bitcoin subiu mais de 100% no último mês! Revelação dos riscos gerais: A Olymp Trade é uma plataforma de negociação on-line de instrumentos financeiros. A negociação de instrumentos financeiros podem resultar em grandes lucros no investimento; entretanto, também pode resultar em perdas totais ou perda de dinheiro. Antes de começar a negociar, recomendamos que você familiarize-se com os Termos e Condições assim como a Revelação dos riscos gerais disponíveis em nosso Website. Quaisquer exemplos, estratégias, ou instruções publicadas nesse website não são obrigatórias e nem devem ser tratadas como conselhos de investimento. A Olymp Trade é uma plataforma de negociações online. Os clientes tomam decisões por conta própria, portanto, a Empresa não deve ser responsáveis por escolhas dos clientes. Nosso contrato de serviço está sob a jurisdição de São Vicente e Granadinas. Os Serviços serão prestados sob a jurisdição de São Vicente e Granadinas. O domínio olymptrade.com é de propriedade e operado pela Inlustris Ltd. Nº de registro: 25161 IBC 2018. Sob o endereço: James Street, Kingstown, Primeiro Andar, Edifício Primeiro São Vicente Bank Ltd, São Vicente e Granadinas. 1.1. This Service Agreement has been made between INLUSTRIS LTD., registered at First Floor, First St Vincent Bank Ltd Building, James Street, Kingstown, St. Vincent and the Grenadines, registration number 25161 IBC 2018 (hereinafter – Company), and the natural person who filled in the registration form on the Company's website or in the trading platform and accepted the terms of this Service Agreement and of the appendices hereto at the moment of registration (hereinafter – Client). The Payment Agent(s) that are engaged by the Company to carry out non-trading transactions under this Agreement is (are) also a Party (Parties) to this Agreement. Details of The Payment Agent(s) are stated in the present Agreement. The Company, Payment Agent(s) and Client are jointly referred to as "Parties". d. Other documents placed in the 'Legal Information' section on the Company's website, including but not limited to the subdomains of the Company's website that are accessible by the Client and / or in the trading terminal. The Company may unilaterally alter the list, name, and content of annexes to this Agreement. The Company may add new annexes to the Agreement or delete existing ones without making any amendments to this clause. The text of the Service Agreement and of the annexes to it is referred to as the Agreement. 1.3. The Agreement is an invitation to make offers posted on the Company’s website that must be treated as an offer to enter into this Agreement on the terms set forth in it. The posted offer is not public. The Company at its sole discretion may refuse to enter into an Agreement with anyone without explaining the reasons for refusal or, if registration took place, to terminate contractual relations and to block access to the trading terminal. The Client's registration on the Company's Website or on the trading terminal is considered as full and unconditional acceptance of the terms of the Agreement. As soon as the Company receives a payment to replenish the Client's trading account, each Client transaction using the trading terminal or Dashboard becomes the subject of this Agreement. 1.4.6. The money listed by the Client on the Company's account has legal origin. The Client legally owns the money and has the right to use and manage it. The Client's account will not be replenished from third party payment instruments. The Client will not replenish third party Client accounts or withdraw money from the Client's account to third party payment instruments. 1.4.9. The Client is not a federal or municipal employee, an employee of a federal or municipal institution, an employee of a federal or municipal organization, an organization in whose capital the state has a prevailing interest; the Client is not a politically significant person, a family member or a relative of a politically significant person; the Client is not a person closely connected with a politically significant person; the Client is not a person connected with the United States or with another country in which the Company does not operate. The terms used in this paragraph are interpreted and applied by the Company at its own discretion in accordance with the norms of international legislation and/or legislation of a particular state, generally accepted terms and definitions, customary business practices. 1.5. The subject of the Agreement is the definition of the general conditions under which the Parties carry out transactions (trades), the content and procedure for which are set forth in this Agreement. The Company unilaterally sets and may alter at its sole discretion essential conditions for a transaction (trade), may limit the number of trades executed simultaneously, and limit the number of trades that a Client may make within the time period set by the Company, may set other limits for trades at its sole discretion and unilaterally. 1.6. The Company may engage third parties to perform this Agreement. The company is not responsible for services provided by such third parties. 2.1. Asset – the underlying financial instrument of an option. An asset may be company stock, a stock index, currency pair (the rate of an exchange of one currency into another currency), goods quoted on a commodity exchange, commodity options, etc. 2.2. Client's Account Balance – the amount of money in the Client'saccount. 2.3. Option - a derivative financial instrument (trade), consisting of two transactions: Making a trade and Closing a trade, as a result of the fulfillment of which the Client either receives Income or loses the Trade amount. The Company does not, however, provide a Client with the ability to assume obligations greater than the Trade amount (the Company does not provide leverage to the Client). The Company and the Client make a trade with an Higher/Lower option - an option, the targeted level of which equals the asset price or another price determined by the Client at the Company's suggestion when the trade is made, payment on which is made if an upward price change was selected and the asset price was greater than the targeted level when the option expired or if a downward price change was selected and the asset price was less than the targeted level when the option expired. If the asset price is the same as the targeted level when the option expires, the trade Amount is returned to the Client. 2.4. Bonus – virtual cash credited by the Company to the Client's Account when the Client meets the conditions established by the Company. When the Client executes trading transactions, funds deposited by the Client must be used first and, only after those funds are completely exhausted, does the Client have the right to use the Bonus for further trading transactions. In general, the Client cannot withdraw the Bonus amount to the Client's External Account. If the Client withdraws funds that were previously credited to his External account, the Company has the right to debit the entire amount of previously accrued Bonuses from the Client's Account. The Company has the right to set a minimum trading amount and other terms under which the Bonus is not debited from the Client`s Account and may be withdrawn to the Client's External account. The Company may publish credit and debit rules, rules for using and converting Bonuses to real funds, and rules for other transactions with Bonuses and Client funds that the Client accrued along with Bonuses on its website. The Company may, in addition to Bonuses, provide Clients with risk-free trades and use other ways to reward and retain the Client. A risk-free trade is defined as a trade, at the close of which the Client either receives Income (if the Client fulfils the conditions for payment set in clause 2.3 of the Agreement) or receives a refund of the trade amount (if the Client does not fulfil the conditions for payment set in clause 2.3 of the Agreement). When the Client uses a risk-free trade that ended with the return of the Trade amount to the Client because the targeted level and asset price coincided when an option expires, that risk-free trade is deemed to be used by the Client. 2.5.Company Website – an internet site at the address (domain name) olymptrade.com, and other internet sites which the Company references in the Agreement or on the Company Website. 2.7. Option Expiration Time – the time when the condition for payout of income on the option is checked. 2.10. Income – fixed remuneration credited to the Client's Account if the conditions of the option are met. The Income amount is determined at the time that the trade is executed. Income is credited to the Client’s account from the Company’s guaranteed (compensatory, special) fund (reserve fund), which is formed in the manner determined by the Company at its own expense. 2.11. Execution of a trade – a trading transaction in which the essential conditions of an option trade are agreed by the Client and the Company. After the essential conditions are agreed, the option trade is open. 2.12. Closing a trade - a trading transaction in which an open trade on an option is liquidated at the option expiration time agreed by the Parties when the trade is made. Early closing of a trade - closing a trade at the Client's initiative before it is closed at the option expiry time. Early closing of a trade is possible only if the Company has the technical capability to do so. The Company may unilaterally at its own discretion provide or refuse to grant the Client the right to make an early closing of a trade. 2.13. Exceptional Situations - abnormal market conditions and other exceptional conditions described in the Regulation on TradingTransactions. 2.15. Asset Quote – the price for one unit of theAsset. 2.16. Log entry - an entry in the database made by the Company server that, with accuracy to the millisecond or, in the case of absence of technical capability, with accuracy to the second, documents all Client inquiries and orders and the result of their processing. Each Client contact with the trading terminal and dashboard is documented in a log entry. These server data are the primary source of information and are used by the parties as evidence if disputes related to the performance of the Agreement arise. Information from a Company server Log entry has unconditional priority over all other arguments during settlement of a dispute, including over information from the Client's trading terminal Log file. The Company reserves the right not to keep Log entries. 2.17. Price Direction – an essential condition of an option trade that determines the trade payout. A price may change direction Higher or Lower. 2.18. Non-trading Transaction – any Client transaction to deposit funds on the Client's Account or withdraw funds from the Client'sAccount. 2.19. Transactions – The Client's trading and non-tradingtransactions. 2.20. Open Trade – an option trade after the execution of the trade and before trade closure, for which it is not determined yet whether a payout will be made. 2.21. Payment Agent – a third party used by the Company to transfer money to and/or from the Client’s Account. The Company's Payment Agent is WALLFORT LIMITED, the address is: KPMG Center, 1-st floor, 1 Agias Fylaxeos Street, 3025 Limassol, Cyprus under registration number HE 364695. The Company is responsible for the actions of the Payment Agent as though they were its own actions. Claims/complaints/statements may be submitted to the Company’s address. 2.24. Payment service provider - a company that provides funds transfer services. 2.25. Recurring payment – a periodically repeating transaction to replenish the Balance of the Client's account without requiring the latter to reenter his or her credit card information. 2.26. Trade – an agreement between the Client and the Company under which the Client pays the Trade Amount and the Company agrees to pay a fixed Income if the option conditions agreed by the Parties arefulfilled. 2.27. Company Server – the Company's software used to process and store information about client requests for trading and non-trading transactions, to provide to the Client real-time information about quotes, to account for trading and non-trading transactions, to monitor the fulfillment of trade conditions and limit trading transactions, and to determine the financial result oftrades. 2.28. Withdrawal Method – one of the Funds Withdrawal methods offered to the Client that is posted on the trading terminal and in theDashboard. 2.29. The Trade Amount is the amount paid by the Client to the Company when the trade is made. The Client`s profit on an option trade if the trade conditions are fulfilled is determined by the procedure set forth in Section 2.10. of this Agreement. 2.31. Essential Conditions of a trading transaction (essential conditions of a trade) – the conditions that govern the payout of income from a trade to the Client by the Company. 2.32. Client account (Trading account) - a special account in the Company's accounting system in which funds transferred by the Client to make trades are posted; from which the trade amount is debited when the trade is executed; and to which income is credited when a trade is closed and the essential conditions of a trade are met. The Client has the right to have only one Client account. In case of violation of this rule, the Company has the right to refuse the Client in further service (rendering of services), to terminate this Agreement, and to block further possibility to carry out transactions without explanation and without payment of funds from the Client's account. It is not a violation of this clause of the Agreement when the Company, if possible and unilaterally, grants the Client the right to use several currencies within the Client's account, as well as the right to use the Client's account in relations between the Company and the Client, which are governed simultaneously by this Agreement and other agreements, concluded between the Company and the Client, under which the Company has the discretion to grant the Client the right to use the Client's account to engage in trading transactions which are not prescribed in this Agreement. 2.33. Trading transactions - procedures to make and close trades with options between the Company and a Client. Trading transactions are carried out at the place of the Company’s registration. No physical delivery of assets takes place during trading transactions. Trade amounts for trading transactions are debited from the Client's account balance after a trade is made. The Income on trading transactions are credited to the Client's account immediately after a trade closes. 2.34. 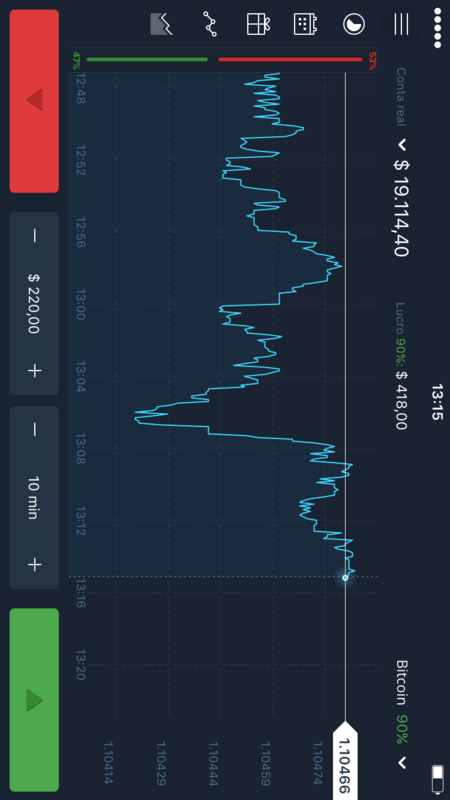 The Trading Terminal is software through which the Client can obtain real-time information about quotes to carry out trading and non-trading transactions and receive messages from the Company. Entry to the Trading Terminal is protected by a password that the Client sets at registration on the Company's site. All orders and inquiries carried out through the Trading Terminal are deemed to be carried out personally by the Client. Clients from countries whose laws prohibit trading in options or other over-the-counter derivatives and the employees, affiliates, agents and other representatives of the Company and their relatives are prohibited from using the Trading Terminal. The part of the Trading Terminal with which a Client can carry out nontrading transactions in this Agreement may be called the Dashboard. 2.35. Red Territory - the state of an open option trade if, at the current asset price, income cannot be paid out on that trade. 2.37. Targeted level - the level of asset prices with respect to which the trade result is calculated. 2.38. Cookie file - a small data set including an anonymous unique identifier which is sent to the web browser of the Client's computer or mobile telephone (hereinafter "device") from the Company server (website) and is stored on the Client's device. The Client may configure a web browser to block cookie access to the device. When a Client visits the Company Website, the viewed pages and cookie files are downloaded onto the Client's device. Cookie files stored on the device may be used for anonymous identification if the Client revisits the Company's website and to determine the website pages that are the most popular among our Clients. Cookie files stored on the hard drive of the Client's device enable the company to create the most user-friendly and efficient website for Company Clients, providing us an opportunity to identify our Clients' preferences. 2.39. Trading signals are information about the state of the market gathered by the Company based on analytical conclusions that the Company is entitled to provide at its discretion to some or all Clients with respect to certain market indicators. Trading signals are not an offer and are not the Company's explicit recommendation to Clients to engage in trading transactions or to make trades. The Company is not liable for the accuracy of Trading Signals or for Client trading transactions and trades based on Trading Signals. The Client may, at his discretion, consider or ignore Trading signals when engaging in trading transactions and trades. 2.40. Quote - the current Asset price displayed on the TradingTerminal. Terms used in this Agreement and definitions absent in this Clause shall be interpreted in accordance with usual and customary business practices applicable in regard to conclusion of agreements with financial derivatives. — announcements on the Company website. 3.2. To promptly communicate with the Client to resolve problems related to Client transactions, the Company will use the Client's contact information entered when the Client registered or modified the account pursuant to clause 4.5 of the Agreement. The Client agrees to accept message from the Company at anytime. 6) immediately after an announcement is posted on the Company website. 3.4. The Client may also contact the Company by e-mail at help@olymptrade.com, and other email addresses and the telephone numbers listed in this Agreement and on the Company website. 3.5. The Client understands and agrees that, if the Client's behavior during conversations with a Company representative is inappropriate, the Company reserves the right to unilaterally terminate thisAgreement. 4.2. 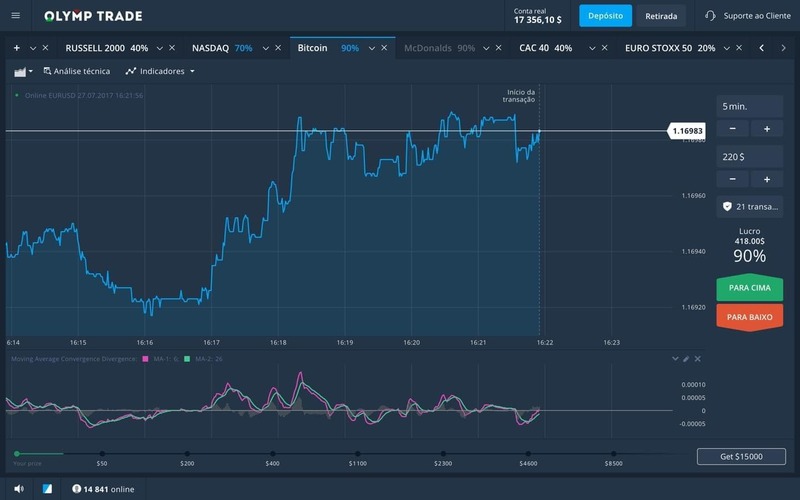 After successful registration, the Client will be granted access to the trading terminal, the ability to transfer funds to the Client’s Account (placing a deposit in the Client’s Account to be able to make option trades) and to perform otheroperations. 4.3. The Client must promptly inform the Company about changes in identification and contact information (within 7 (seven) days after that change) by making the appropriate changes on the Trading Terminal or in any other way offered by the Company. To identify the Client and to inspect the origin of the Client's funds at any time after registration, the Company has the right to ask and the Client obliges to provide within 7 (seven) days after the request is received, any identification documents (these documents include identity documents; documents confirming the residential address, documents indicating the Client's financial standing, and other documents at the Company's discretion). The Company reserves the right to suspend non-trading and/or trading transactions on the Client's account if it finds that the Client's identification information is incorrect or inaccurate; if the Client has not provided the requested documents, the Company has the right to block the Client's access to the trading terminal until the client's identification procedure is completed. The Company also has the right to demand the Client to undergo the identification procedure by a personal visit to a Company-authorized agent and provide documents, the list of which is determined by the Company at its discretion. 4.4. Login to the trading terminal is password protected. 4.4.1. The Client confirms and agrees that access to the trading terminal will be protected with a password set by the Client himself/herself during registration. The Client may not transfer the trading terminal password to third parties. 4.4.2. The Client assumes full responsibility for password protection and prevention of unauthorized third party access to it. 4.4.4. Any person who obtains access to the trading terminal by entering the Client's password will be identified as the Client unless otherwise specified by the Company. 4.4.5. The Company assumes no liability for any losses the Client may suffer in case of theft, loss or disclosure of the password to third parties or in case of unauthorized use of registration data by third parties. 4.5. The Client may change the password to the trading terminal himself/herself or use the procedure for password recovery set by the Company. 5.1. The Parties have agreed that they will make every effort to settle all disputes between the Company and the Client related to transactions, payouts and other actions hereunder by means ofnegotiations. 5.4. To respond to a claim/complaint/statement/notice, the Company may request additional documents and information from the Client. A claim/complaint/statement/ notice will be reviewed on the basis of data provided by the Client and log entries from the Company server. Log entries from the Company Server always prevail over other evidence and proof. The Company assumes no liability for incomplete trades and will not compensate any financial damages or moral harm suffered by the Client with respect to what the Client considers to be lost profit. When considering disputes, the Client’s references to information from other companies and websites are not considered. 5.6. The Company must consider a claim/complaint/application/appeal within no more than 10 working days after the submission date. This term does not include time for provision of additional documents by the Client upon the Company’s request. 5.7. If the Client’s claim/complaint/statement/notice has not been settled by the Company by the above dispute settlement procedure, the Client may submit a claim to the Financial Commission(www.financialcommission.org). 5.8. In addition to provision set forth in clauses 5.2.-5.7. of the dispute resolution procedure, the Client may file a claim to a court, provided that he/she has first submitted the claim to the Company in accordance with this dispute resolution procedure. The claim procedure for dispute resolution will be deemed followed if: a) the form and content of the claim meet the requirements of clauses 5.2.1., 5.2.2., and 5.2.3.; b) the claim is sent to the Company’s registration address by registered or certified mail; c) the Client has a confirmation of claim receipt by the Company; d) the deadline for responding to the claim has expired. Claim response time – sixty (60) calendar days after it is received by the Company. 6.1. This agreement is made in the country of Saint Vincent and the Grenadines (hereinafter the country of Company registration) and is regulated by the law of the country of Company registration. Services under this Agreement are provided in the country of Company registration. d) agrees to make no claims regarding trial’s location as non-convenient and not to declare that the trial’s location state has no legal jurisdiction over theClient. b) the suspension of work, the liquidation or closure of any market or the absence of any event on which the Company bases quotes, or the imposition of restrictions or special or non-standard terms of trade in any market, or in respect of any such event. c) take or, on the contrary, not take any action in respect of the Company, the Client or other clients, if the Company reasonably deems it appropriate under the circumstances. 7.3 The Company assumes no liability for breach (improper discharge) of obligations if force majeure events interfered with that discharge. 8.1. The liability of the Parties to this Agreement is determined by the terms of the Agreement and its annexes. 8.2. The Company assumes liability only for real damages caused to the Client as a result of the Company's deliberate breach of its obligations hereunder. TheCompany is as responsible for the actions of its representatives, departments, and payment agents as it is for its own actions. f) for damage caused to the Company by the Client's use of insider, confidential, or other information that provided the Client with any kind of advantages in concluding trades with the Company. The Company has the right to debit these losses from the Client's account and/or the accounts of other persons (if it is established that these accounts belong to the Client (or the Client's accomplices) using the Company's technical and other equipment and tools). The Company also has the right to block the further transactions on the trading terminal and the dashboard for Clients in respect to whom the Company has sufficient grounds and suspicions to classify their actions (including joint actions with other Client's) as aimed at causing damage to the Company and to debit the funds from the Client's account in favor of the Company. 8.4.1. Review the amount of the Company’s financial obligations to the Client and make changes to the data (balance) of the Client’sAccount. 8.4.2. Suspend services to the Client, block access to the trading terminal. Should the Company block the Client’s access to the trading terminal, the Client must take all necessary and reasonable steps to remedy the reasons why access to the trading terminal was blocked. If the Client does not take any measures or actions to address the reasons why access was blocked within 30 (thirty) days, the Company may withdraw all funds from the trading account. The Company has a right but is not obliged to redeposit all funds that were withdrawn into the Client’s trading account if the Client satisfies all the requirements needed to lift the block on the trading account. 8.5. If the Client breaches any terms of the Agreement and its integral parts listed in clause 1.2, including refusal to undergo the necessary checks and refusal to provide the necessary information, the Company has the right to terminate theAgreement; to void any Client transaction; to close one, several, or all Client trades at any time, at its own discretion; and to stop rendering services to the Client and return funds to the Client or not at its discretion. Any violation of the terms listed in this section, deprives the Customer the right to demand payment or refund from the Company. 8.5.1. If the Company terminates the Agreement with the Client for breach of the Agreement, the Client has no right to open a new account, including by entering third party data during the registration. If the Company detects the Client's breach as set forth in this clause, the consequences stipulated in the section 8.5. of the Agreement will apply. 8.6. The Company assumes no liability to the Client for any damages, losses, lost profit, lost opportunities (without limitations, due to possible market fluctuations), expenses or damages incurred by the Client as a result of the execution of trades pursuant to the terms of the Agreement. 8.7. The Company assumes no liability in case of a discrepancy between the information represented on the Client’s trading terminal and the information on the Company Server when the financial result of the Client’s trades is determined. 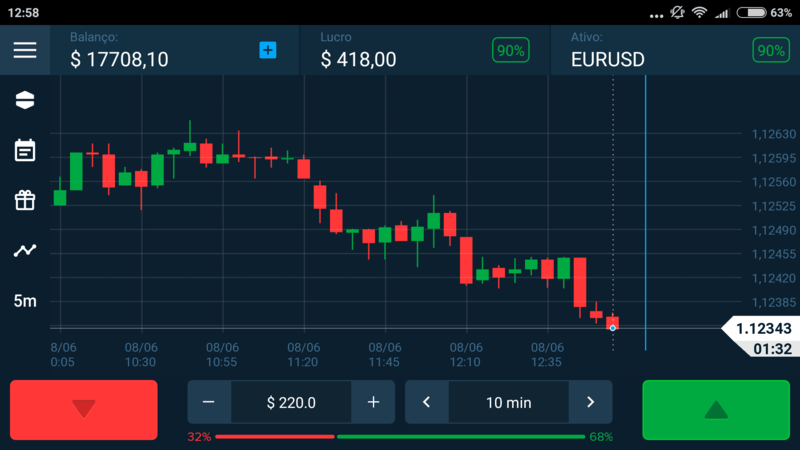 To eliminate such discrepancy, the Company will adjust the data on the trading terminal in accordance with the information available on the CompanyServer. 8.8. The Company assumes no liability for the Client’s damages if those damages resulted from hacker attacks, accidents (failures) of computer networks, communication networks, power lines or telecommunication systems, etc., directly used to determine essential conditions of the Client’s transactions or ensure other Company operating procedures that occurred through no fault of the Company. 8.10. The Company assumes no liability for the results of trades that the Client decided to make on the basis of analytical materials provided by the Company and/ or third parties. The Client has been informed that transactions made hereunder bear the risk of not receiving the expected income and the risk of loss of some or all of the money deposited by him/her in the Client’s Account. The Client acknowledges that unless there is fraud, deliberate breach of obligations or gross negligence on the part of the Company, the Company will not be liable for any losses, expenses, costs and damages of the Client resulting from inaccuracy of information provided to the Client, including, but not limited to, information about the Client’s trading transactions. The Company reserves the right to cancel or close any Client trade under the conditions set forth in this Agreement; nevertheless, all transactions made by the Client as a result of this inaccurate information or an error remain in force and must be fulfilled both by the Client and the Company. 8.11. The Company assumes no liability for any losses the Client may suffer in case of theft, loss or disclosure of his/her password to the trading terminal to third parties. The Client assumes full responsibility for protecting the password and safeguarding it against unauthorized third party access. 8.12. The Company assumes no liability for breach (improper discharge) of the obligations hereunder if it was caused by force majeure events or other exceptional conditions stated in the Agreement or appendices to the Agreement. 8.13. The Company assumes no liability for any indirect, special, arbitrary, or punitive damages suffered by the Client, including, but not limited to, lost profit, loss of expected savings or loss of income, even if the Client was informed by the Company about the possibility of such damages. Moral harm is not compensated. 8.14. The Сompany reserves the right to consider the Clients breaches at any time, regardless of the time when the breach was made, and, if breaches are discovered, to take measures in accordance with thisAgreement. 9.1. This Agreement comes into force upon its conclusion (client registration on the website or on the Company’s trading terminal) and is valid sine die. 9.2.2. The Agreement is terminated at the initiative of the Client in five (5) business days after the Company receives the Client’s written notice containing the statement of termination of the Agreement, provided the Client has no unfulfilled obligations hereunder. The Client must send the Termination Notification to the Company's address provided in clause 1.1. of this Agreement, or to the email address help@olymptrade.com. 10.1. Amendments and additions to this Agreement and to the annexes hereto are made by the Company unilaterally. All amendments and additions made by the Company and not related to the circumstances specified herein come into force on the date specified by the Company. 10.2. Amendments and additions made by the Company to this Agreement and to its annexes because of amendments to legislation and regulations governing the subject hereof and to rules and contracts of trading systems used by the Company to discharge its obligations hereunder come into force simultaneously with amendments in the aforementioned documents. 10.4. To ensure that a Client who entered into the Agreement is aware of amendments and additions, the Client must visit the Company's Website or the trading platform him/herself or through authorized persons at least once a week to find information about any amendments and/or additions. 10.6. The Client may use information that was provided to the Client either orally or in writing that is posted by the Company or by third parties, access to which was granted to him/her as part of the services hereunder only for transactions under this Agreement. The Client may not disseminate, alter, or supplement the aforementioned information, or store it in separate archives. In any event, the scope of powers granted to the Client with respect to information posted by third parties cannot exceed the scope of powers obtained by the Company from the third party. The Company does not guarantee that information posted by third parties is reliable, accurate, or relevant and is provided on an ongoing basis without interruptions. Nor is the Company liable for the results of transactions (losses, lost profit, lost income, injury to goodwill, etc.) that the Client decided to perform on the basis of information that was communicated to the Client either orally or in writing by the Company or by third parties. 10.7. The Company may fully or partially transfer the rights and obligations under this Agreement and the annexes hereto to a third party if such person undertakes to fulfill the terms hereof. This transfer of rights and obligations does not require prior notification of the Client by the Company and shall be made at the time the adequate information is published on the Company’s website. 10.11. If a court of proper jurisdiction declares any provision of the Agreement (or any part of any provision) void, that provision will be treated as a separate part of the Agreement and this will not affect the legal force of the rest of theAgreement. 10.13. In situations not described in the Agreement, the Company will act according to market best practices based on principles of honesty andfairness. 10.15. The Client is granted a limited and non-exclusive right to use the Trading Terminal only for the purposes stipulated in this Agreement. If the Agreement is terminated on any grounds, the Client's rights to use the Trading Terminal stipulated in this clause shall be terminated at the moment of the termination of the Agreement. 10.16.The Client agrees that the Company cannot guarantee continuous uninterrupted and technically sound operation of the Trading Terminal, and therefore the Client accepts this software as is. The Company assumes no liability to the Client for technical failures in Trading Terminal operation. 10.17. All terms used in this Agreement and its integral parts, whether they are in uppercase or lowercase characters, shall be of equal importance, unless otherwise follows from the essence of the obligation. 11.3. If it is found that the Company is providing services to persons associated with the countries in which the Company does not do business, the Company may apply the consequences listed in clause 8.5 of the Agreement. Ao continuar o acesso no site ou ao clicar em "Aceitar", você concorda em salvar os cookies em seu dispositivo para melhorar a experiência de navegação e para propósitos estatísticos. Para aprender mais como usamos os cookies, por favor, veja nossa política de cookies.